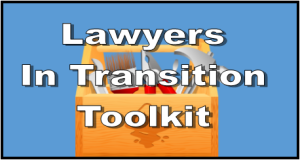 The most important tool in your Lawyers in Transition toolkit is one you already own and know how to use. Thoughts drive emotions, and emotions inspire action. What you think determines what you do. Which means the future begins with what’s in your head right now. If you think retiring from the law marks an end to your professional life, then your outlook will be bleak. 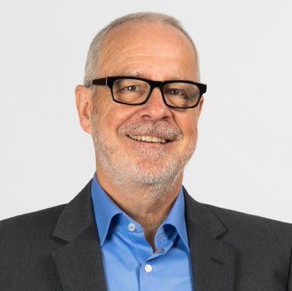 If you worry that your firm may not survive the departure of a key partner, your practice will be crippled by fear and doubt. And if you think you’d like to try something else professionally but feel you’re stuck in the law for financial, personal or other reasons, your career will be stagnant as well. On the other hand, if you view retirement as the beginning of a fresh phase in life, you open yourself up to new and exciting possibilities. If you think personnel changes are natural and inevitable, you can create a firm that is resilient and dynamic. And if you believe in your ability to adapt to whatever tomorrow may hold, you will discover strengths and skills you never knew you had. It’s all a matter of how you think. This is not to suggest that a career change – whether precipitated by retirement, disability or departure – is easy. A successful career transition is not as simple as looking in the mirror and giving yourself a pep talk. It takes time, planning and patience. It requires being open to new experiences. Do something – anything! Sitting around worrying about the future or regretting the past will only keep you mired in a bog of negativity. Climb out of it by taking action. Read a book on aging issues. Take a class on retirement planning. Talk with someone who’s been there and done that. What you do is less important than the simple, empowering act of doing. Get a copy of “Life Plan for the Life Span.” This is a free brochure from the American Psychological Association to guide people in all career stages on how to transition to retirement. Ask yourself three questions. “Can I change what’s challenging me? If not, can I change the way I see it? And finally, can I reduce my stress level through meditation, exercise, therapy etc.? This will help you target areas that need work,” says Dr. Schlossberg. Learn from the experts. Get a copy of The Retiring Mind by Dr. Robert P. Delamontagne or Retire Smart, Retire Happy: Finding Your True Path in Life by Dr. Nancy Schlossberg.